Have Fun on a Rainy Day. Rainproof: There’s a retro charm to the new waterproofs, viewed – naturally enough – through fashion’s luxurious lens. 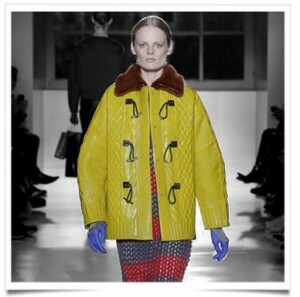 Think old-school anoraks and parkas, made over in glossy rubber, smooth Neoprene and lush silk. Winter poses no sartorial challenge now that fashion has braced itself for the big chill. The collections saw quilting expand beyond the padded jacket, bringing down-filled detail to tops, trousers and even gowns.